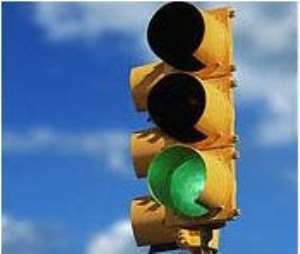 Tema, July 09, GNA - A driver, who was arrested by the Police for stopping at a traffic light at Ashaiman to pick passengers, has been fined one million cedis by the Tema Circuit Court 'A'. Moses Afenye, who pleaded guilty to the charges of unauthorised stopping to pick passengers and causing obstruction to other road users, will be jailed for three months in default. Police Inspector Adolphus Otchere told the Court, presided over by Mr Charles Asiedu, that at 1630 hours on July 6, 2004, Ashaiman Police Traffic Patrol team arrested the accused and impounded his car, when he was spotted picking passengers at a traffic light leading to obstruction of traffic.